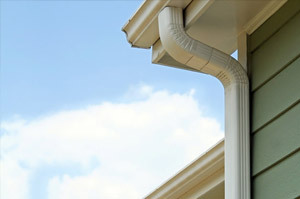 In addition to gutters, having an extensive system of downspouts descending down from your home is essential in Louisana's unpredictable climate. When it rains, it can RAIN and all that water has to go somewhere. Now that your home is elevated, there's quite a distance between your roof and the ground and quality downspout installation is crucial in making sure that all that water efficiently moves off of your roof and to the ground without any effort. Lowe’s Construction, LLC is a full-service residential downspout contractor in New Orleans, LA. We are dedicated to expert downspout installation. Our specialists will meet with you to discuss the evaluation, installation and maintenance of your downspouts. Our professional staff is qualified to evaluate your downspout needs and will assist you in making the appropriate choice of materials and applications for your project. The professionals at Lowe’s Construction, LLC are committed to providing you with the finest quality downspout service with professionalism and attention to detail. We take great pride in taking care of each client’s needs from start to finish and are available around the clock to answer any questions you may have or clarify anything about your downspouts.